Home / News / Russia fines Google $10,000 but could now have to block them? Russia fines Google $10,000 but could now have to block them? Russia has garnered no end of negative headlines in recent months over its online censorship and the various botched efforts they have made to censor popular websites. Now though, they are taking on the biggest name website to date, as the country’s media and internet watchdog has announced that it plans to fine Google for failing to comply with their censorship regime. 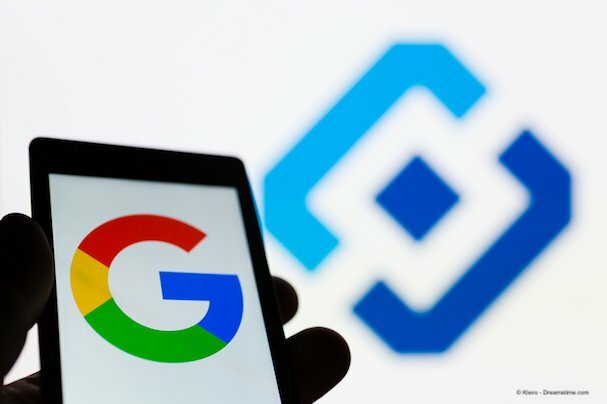 Towards the end of last week, Russia’s online watchdog, the Roskomnadzor, announced [in Russian] that Google had been ignoring their online censorship requirements. Under Russian law, any search engine which operates in the country is required to be connected to the Roskomnadzor’s federal state information system. This fancy terminology actually refers to little more than a database of websites and online services which are banned in Russia and which all search engines are required to block access to. It seems that Google has been, quite deliberately, completely ignoring this requirement. The Roskomnadzor claims that it has contacted Google directly about connecting to this register but has received absolutely no response from the online search behemoth. Under Russian law, that leaves the Roskomnadzor with little choice but to issue Google with a fine. This is exactly what they have done and Google will no doubt now be quaking in their boots. The Roskomnadzor has confirmed that Google now faces a statutory fine of 700,000 roubles. This equates to approximately US$10,600. Google has failed to respond to requests from both the media and the Russian authorities over this fine, which leaves the world speculating over what could happen next. Obviously, the fine is little more than petty cash for a company of Google’s gargantuan size, but if they choose to pay it, they would then appear to be accepting the legal basis for Russia’s online censorship regime. To do this would make it much harder for Google to credibly ignore the legal requirement in Russia for them to sign up to this register. So far, this appears to have been their corporate policy. If they choose to ignore the fine and carry on as before, they are then effectively challenging the Roskomnadzor to take further action against them. And despite the pathetic size of this fine, they have a track record of not backing down in the face of adversity. Regular readers may recall the farcical nature of Russia’s attempts to block the encrypted online messenger service Telegram. They managed to take down thousands of unrelated websites as they blocked millions of IP Address but failed to take Telegram offline. They then went even further and tried to block the VPNs that many of Russia’s Telegram users were connecting through. This attempt was no more effective and Telegram remains available in Russia to this day. It is therefore not out of the question for the Roskomnadzor to try and block Google in Russia if they fail to comply with demands made to them. The chaos likely to follow such a move doesn’t bear thinking about. But Google is in a slightly sensitive situation at the moment themselves when it comes to online censorship. They have been taking a huge amount of flack and negative publicity over their plans to create a censored search engine to enable them to re-enter the lucrative Chinese market. The Russian market may not be nearly so valuable, but given the vitriol thrown at them for even considering complying with the demands of the authoritarian regime in China, would they dare to risk being seen to comply with a similar regime in Russia now too? Both Google and Russia’s Roskomnadzor have painted themselves into a bit of a corner with their previous actions and the likely outcome is that neither side will back down easily in this battle. If that does prove to be the case then the main loser is likely to be the Russian internet user. If the Roskomnadzor does play the strong man and try to block Google, the collateral damage would likely be immense, with countless websites and online services being taken down in the crossfire. Russia is one of the few countries in the world where Google doesn’t dominate the search engine market. But while the Russian language service Yandex may be the biggest, Google comes a close second with 42% of the market share. To block them would, therefore, inconvenience a huge number of Russian internet users, never mind how such a block would affect other popular Google services such as Gmail and Google Maps. Given the state of online freedoms in Russia, it is already highly advisable to use a VPN to keep yourself safe and private online. But if Google were to be taken down as well, a VPN would be even more vital as it would allow continued access to Google regardless of what the Roskomnadzor tried to do.